Through art + justice the museum provides a rare creative outlet where audiences can interact with professional artists, experience expert techniques in a variety of art practices, and explore motivations for creating art. Art projects are designed to accommodate all skill levels. Audiences can take home their creations. This program amplifies an important pillar of the National Museum of African American History and Culture’smission to explore and share how American values such as resilience, optimism, and agency are reflected in the African American community’s past, present, and future. art + justice embraces the therapeutic power of creativity to improve well-being, increase positive emotions and endorphins, and invigorate restorative energy towards personal and social peace and wellness. 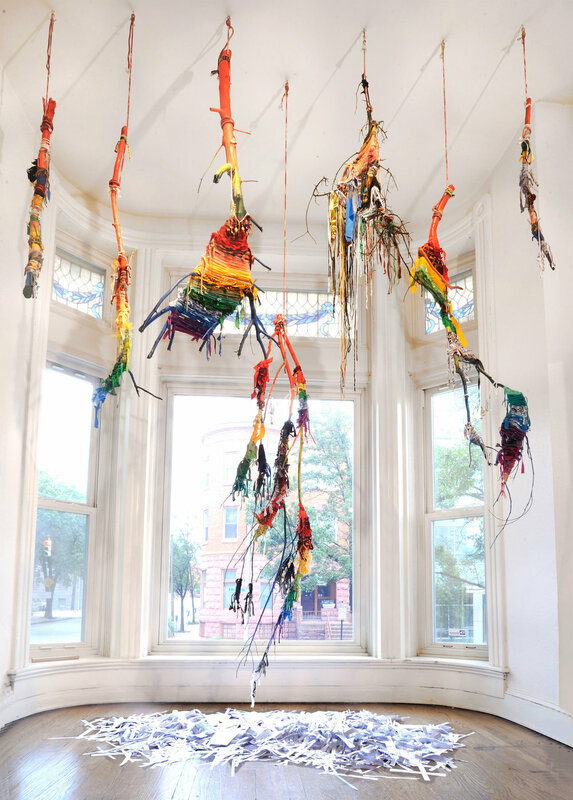 Washington, DC textile and mixed media artist, Amber Robles-Gordon leads a beginner’s-level art lesson creating “Talking Sticks” – a symbol used in many indigenous cultures to designate the authority to speak within a group setting. This symbolic art-making lesson reflects on the long history of community activism with the African American community and beyond and encourages dialogue while providing space for personal reflection and introspection.